Re: What Are Your Favorite Mangas? CLAMP's Cardcaptor Sakura - This is not only a classic but one of the series that has been with me since early childhood. There are lovable characters (specifically Kinomoto Sakura, Daidouji Tomoyo, and Li Shaoran/Syaoran), cute romance, cute expressions, an array of emotions, and continuity for the main story with sub-plots. 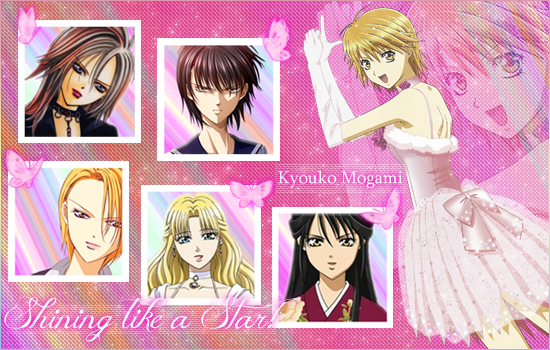 Watase Yuu's Fushigi Yuugi: Genbu Kaiden - The romance and feelings I felt...I can't say anymore! Shiina Karuho's Kimi ni Todoke - I really love the characters of Kuronuma Sawako, Kazehaya Shouta, Yano Ayane, Yoshida Chizuru, and Sanada Ryuu. This is another series that has cute romance, cute expressions, and a heartwarming atmosphere. Minami Maki's Special A - It has similarities to Host Club, but I like the hilarious rivalry between Hikari and Kei. This series is also the first series where I bought all the volumes. Sakisaka Io's Strobe Edge - The series explored the struggles in loving someone and I liked that. Robico's Tonari no Kaibutsu-kun - This was a clear-cut, straight-to-the-point romance and I liked that. There was not one character I did not like! ^ I haven't been reading any manga recently. I've been busy with school lately, and I got a small feeling that I'm slowly outgrowing it. Shame. - Katekyo Hitman Reborn!. Guess who my username is based off of? Yes. - Shingeki no Kyojin Same reason as Aoshee. Okay, this one I follow, because my brother always pulls me from my study area for new chapters. And surprisingly, I do let myself get pulled away. Even when I have a major exam the next day. 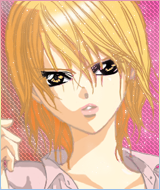 - Skip Beat. Again, I follow every month. Thank you for the awesome scans! - Tsubasa Reservoir Chronicle. The ultimate CLAMP crossover! xxxHolic, for that matter. I love their take on traditional folklore, plus Yuuko is pure awesome. My favourite is One Piece. Because it has great diversity, and the world, in my opinion, is very creative. (Especially the Devil Fruits-I would have never thought of them.) I even wrote a short essay about it for AustralianWritings. Also I like Gintama, because it’s hilarious!